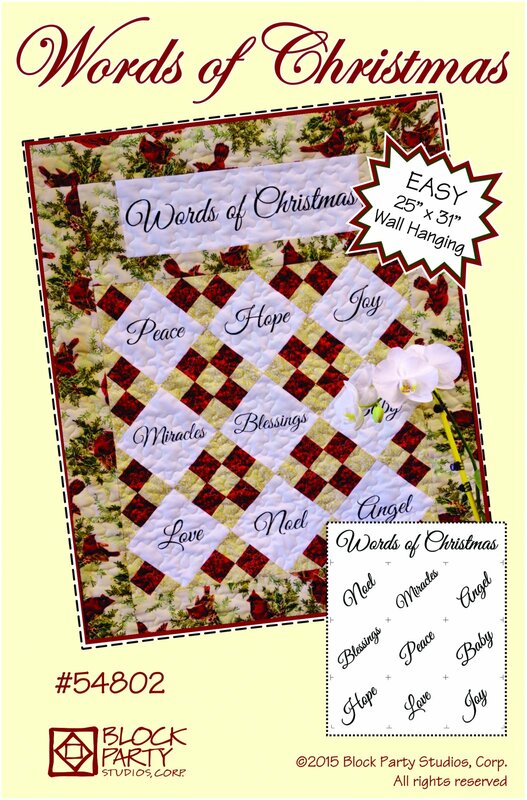 Make a joyful 25" x 31" wall hanging with our Words of Christmas pattern. It is intended to be used with our words of Christmas panel in natural or white. This panel is a take off of our “Fruit of the Spirit” panel. We have put 9 words that remind us of the Holiday season: Noel, Miracles, Angel, Blessings, Peace, Baby, Hope, Love and Joy. Each finishes 5” square.